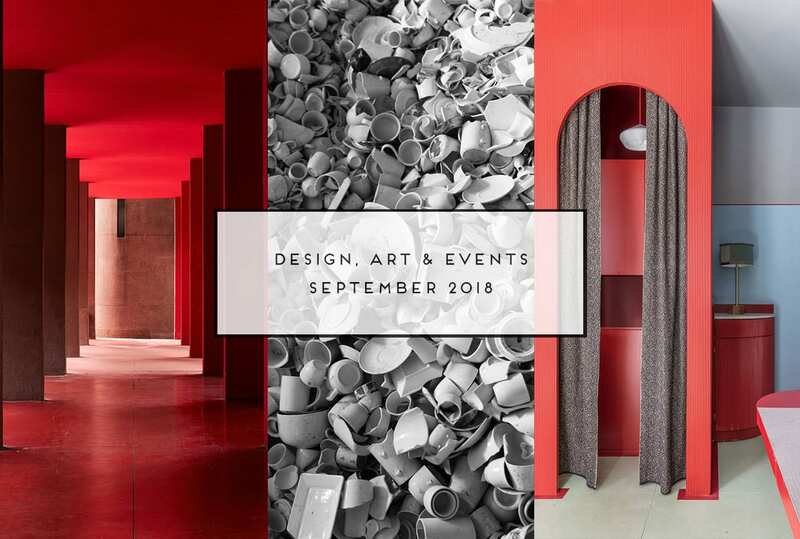 Yellowtrace Spotlight: Design News September 2018. In case you failed to notice, September is almost over (WTF! – it’s practically Christmas time! 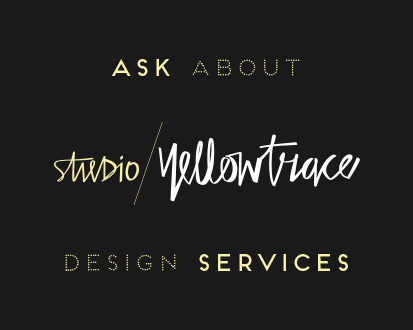 ), which can only mean one thing – our September edition of Yellowtrace Spotlight is upon us. 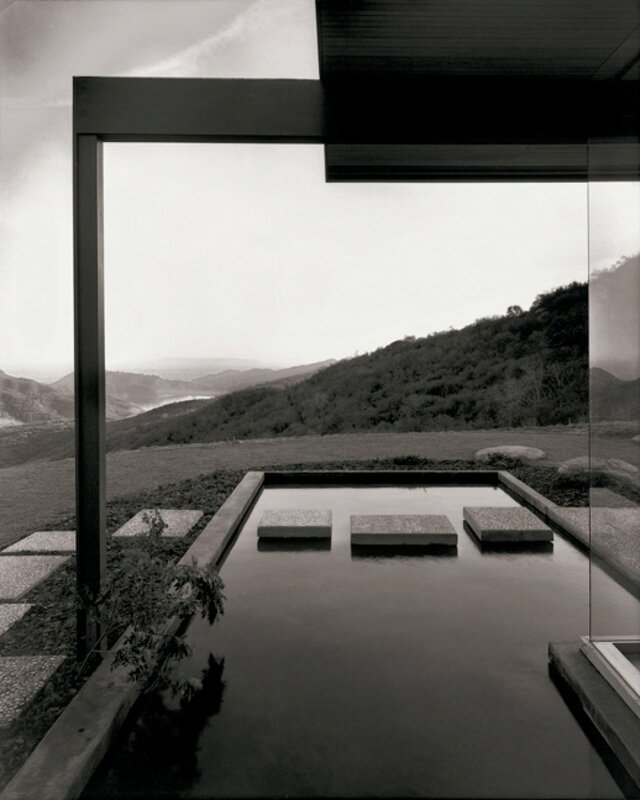 Today we round up the best local and international submissions, including Tasmania’s newest boutique accommodation, a vibrant retro-style restaurant in London; new product releases and an exciting announcement by Fibonacci; new gear from Bentu Design, Juju Papers and Designer Rug; a renovated Belgium home; Melbourne-based photographer Derek Swalwell’s first solo exhibition, plus a whole bunch of other hot-to-trot projects. 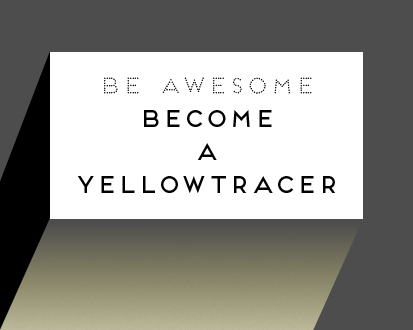 Let’s get stuck into it! 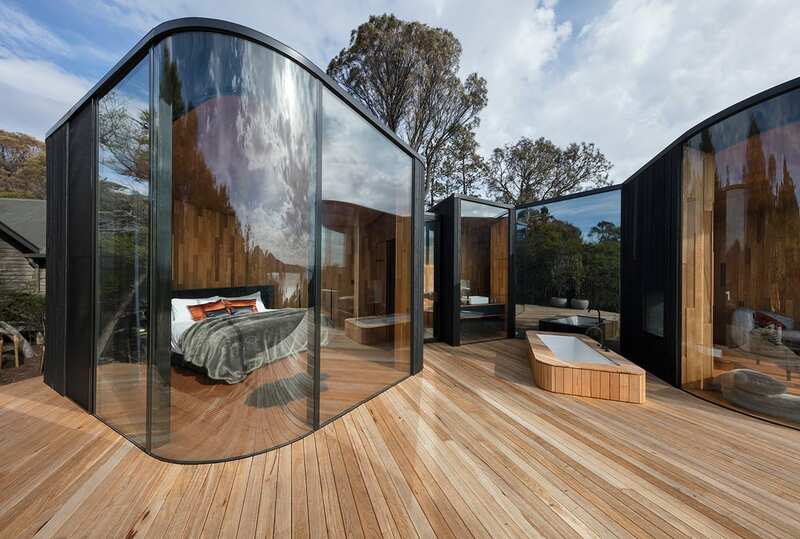 Designed by Hobart-based Liminal Studio, these nine Coastal Pavilions are the newest accommodation offering at Freycinet Lodge on Tasmania’s east coast. 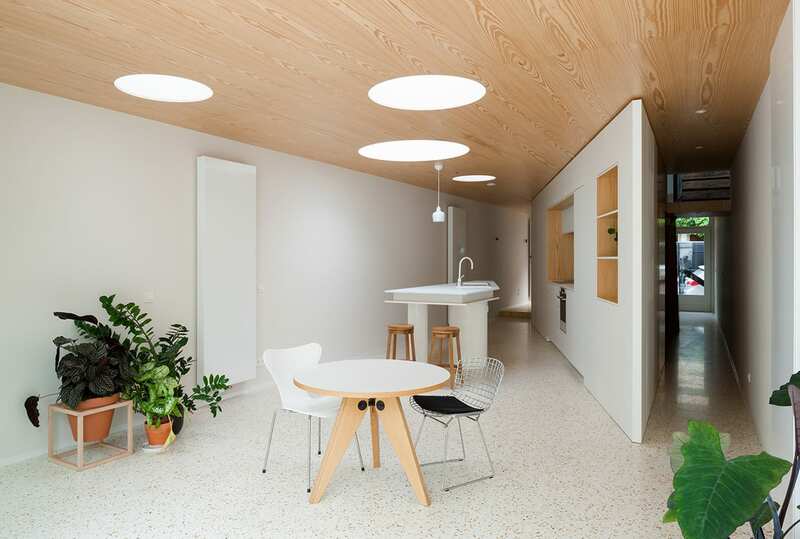 Belgian design studio Fragmenture has transformed a compact, dark and enclosed row house in Ghent into a contemporary, bright and cheerful city residence. 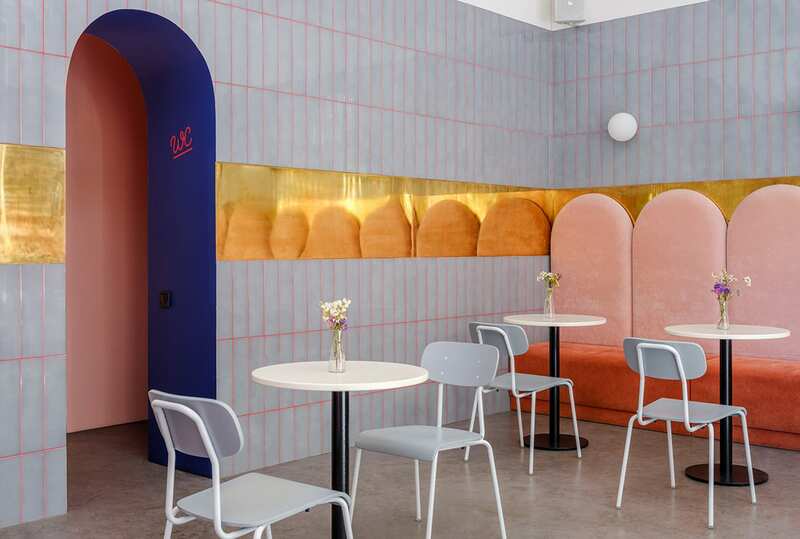 The playful interior of Breadway Bakery is divided into three visually distinctive functional sections through the use of bold shapes, colours and textures. 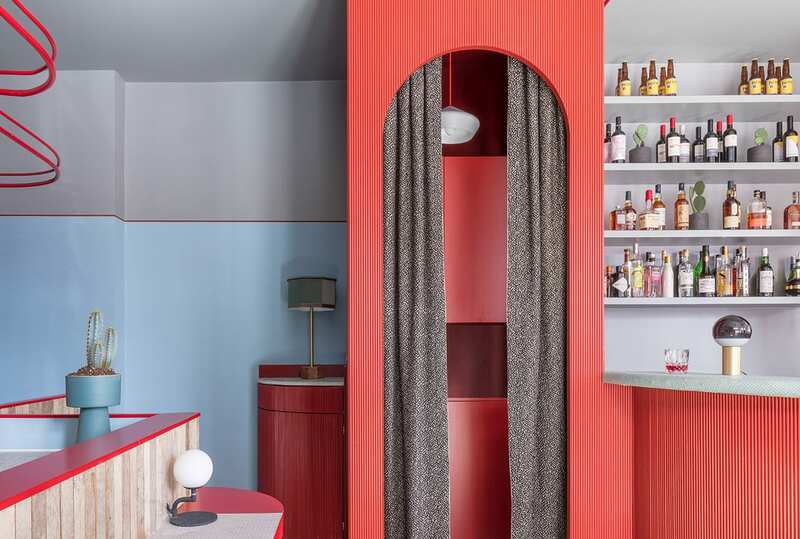 Sella Concept’s retro-inspired interior for Pirana restaurant & bar in South London packs a host of different atmospheres into a relatively small space. Miss Wong Restaurant in Quebec, Canada by Ménard Dworkind Architecture & Design. 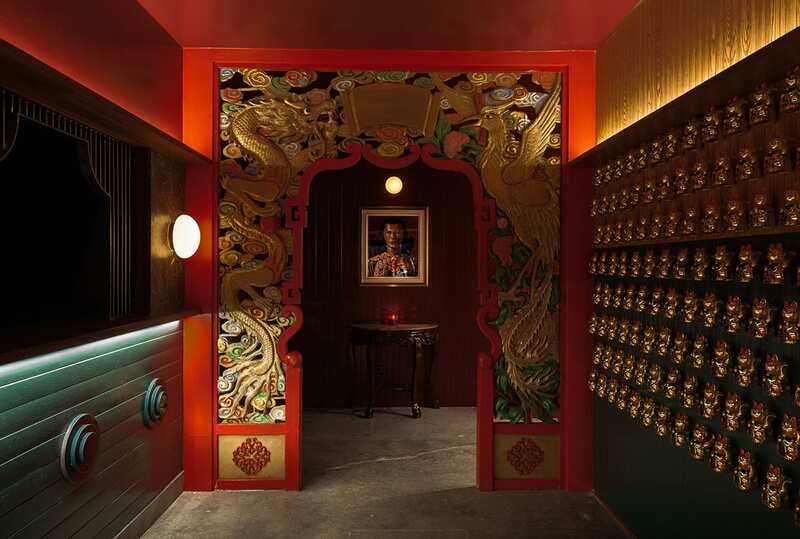 Inspired by the visually rich language of Chinatowns around the world, MRDK have brought to life a clear design story to the Miss Wong Restaurant in Quebec. 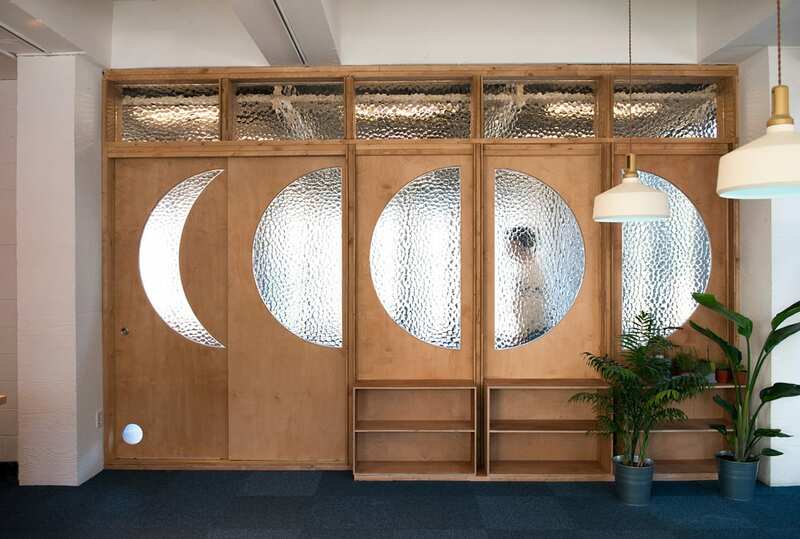 Referencing the lunar cycle of a yoga practice, plywood partition with moon shaped textured glass inserts ats as a boundary between this cafe and yoga room. 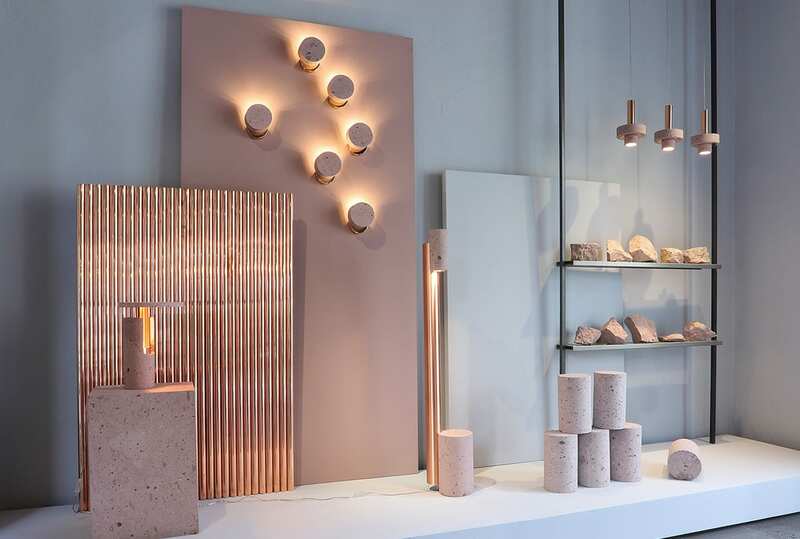 Dubbed ‘The material space’, Davidpompa’s new showroom unveils the origins of the Mexican brand and its products, with source materials playing a key role. 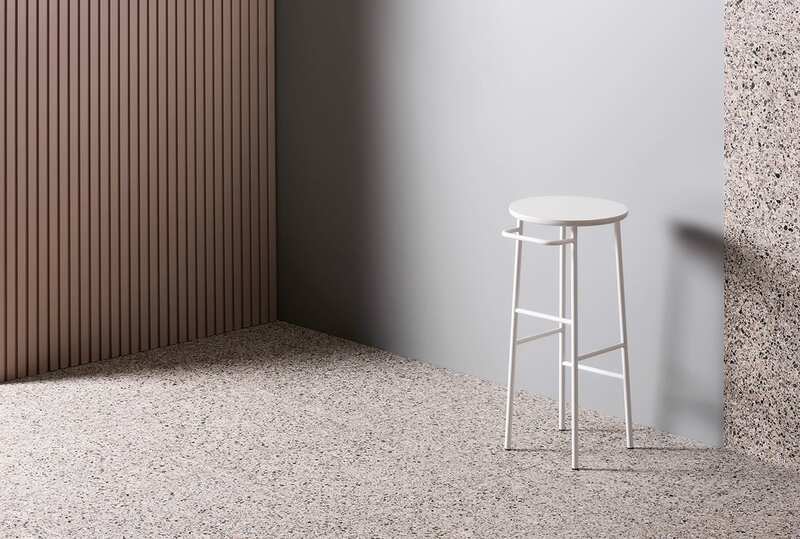 After a major supply chain overhaul, Fibonacci’s entire terrazzo collection is available with no lead-time. Plus they’ve released a bunch of fab new colours! 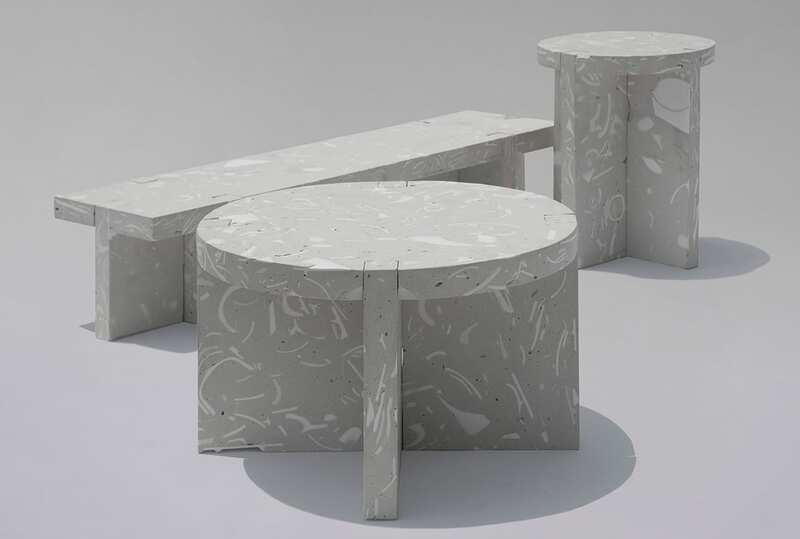 BENTU’s Wreck design experiment reveals the disintegration of culture in Chaozhou, China as part of its daily-ceramics production industry. 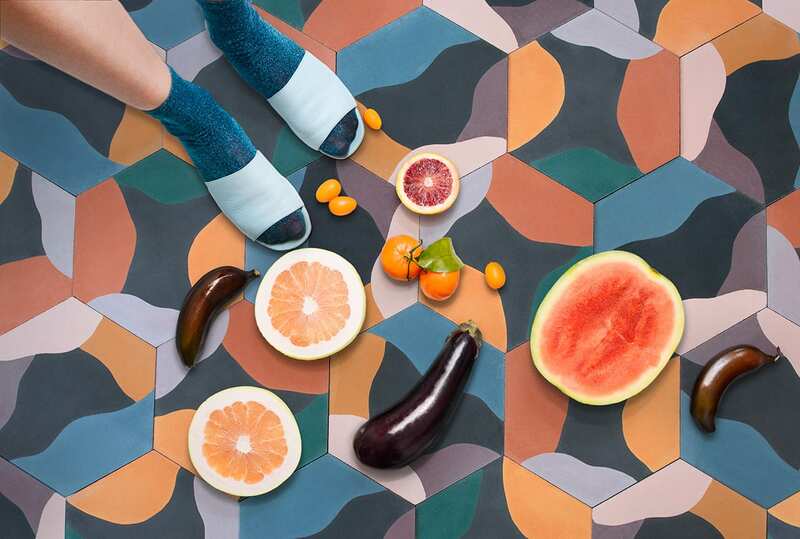 Fruit Salad is Juju Papers’ first handmade cement tile series in hexagonal shapes and kaleidoscopic colours, made for a serendipitous installation method. 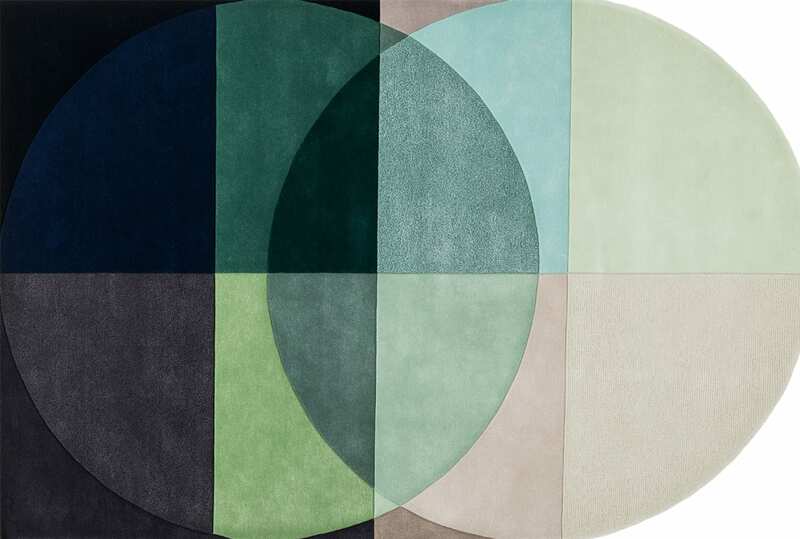 The freshest collaboration by Designer Rugs for 2018 unites the work of the design duo bernabeifreeman, with in-house expert Christine McDonald. 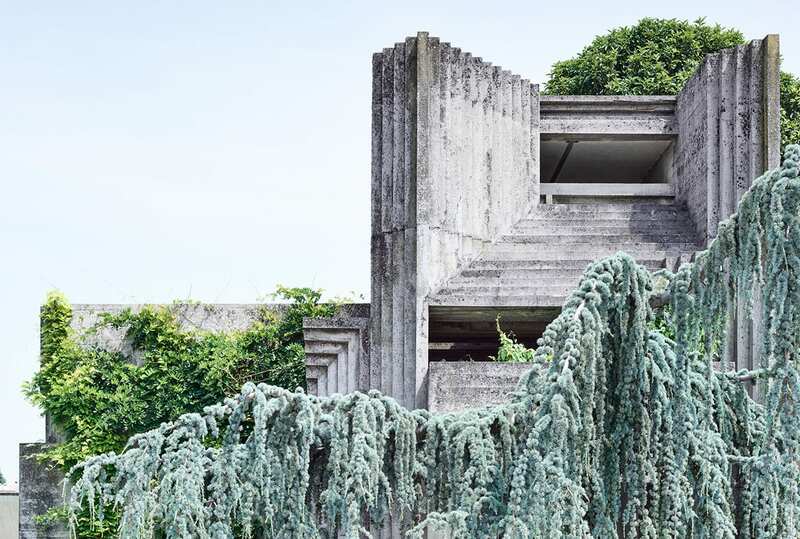 Derek Swalwell’s latest solo exhibition focuses on the details of Carlo Scarpa, Aldo Rossi and Carlo Aymonino’s famed sites Brion Cemetery, San Cataldo Cemetery and the Gallaratese complex.